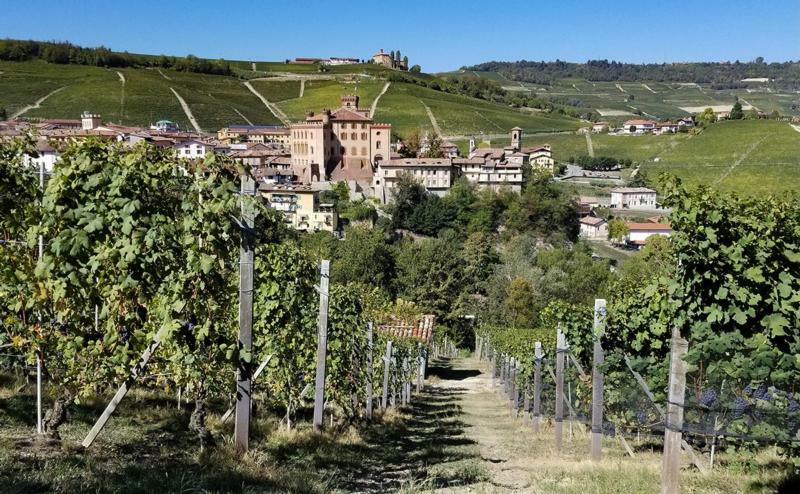 The Marchesi di Barolo estate encompasses approximately 430 acres of vineyards in the Langhe, some of the finest in Piedmont, including the prestigious Cannubi cru. The cellars are located in the village of Barolo, overlooking the Renaissance castle of the Marchesi Falletti di Barolo. Barolo as we know it today was first made in the early 19th century by the Marchese Carlo Tancredi Falletti di Barolo and his wife, Giulia. The wine from their estate soon became known as "the wine from Barolo", served at important diplomatic and royal functions. The Marchesi had no children and following the death of the couple, the Marchesi di Barolo dynasty was left without an heir. Per the wishes of Marchesa Giulia, a great philanthropist, the family assets were donated to charity and a non-profit foundation was created in their name, "Opera Pia Barolo", helping the most needy of nearby Torino. The sales of wine from their Barolo vineyards continue to fund the charity, which still exists today. In 1929, local winemaker, Pietro Abbona purchased the cellars formerly owned by the Marchesi and eventually acquired all their vineyard holdings as well. Today, Marchesi di Barolo remains a family business. Since 2006, the estate has been under the direction of Pietro's great-grandson and fifth-generation winemaker, Ernesto Abbona and his wife Anna, who have inherited a longstanding winemaking tradition and a love of the vineyards and its wines. Wine Advocate 90 “The 2015 Ruvei benefits from a vintage that was well-suited to the Barbera grape. This variety needs a little extra summer heat to iron out its high acidity. Those conditions were beautifully met in 2015. The wine is partially aged in oak, so there are little wood influences.